It’s Follow-Up Friday: Kickstarter Round-up edition! And in today’s post, I’m returning to the subject of puzzly crowdfunding campaigns! 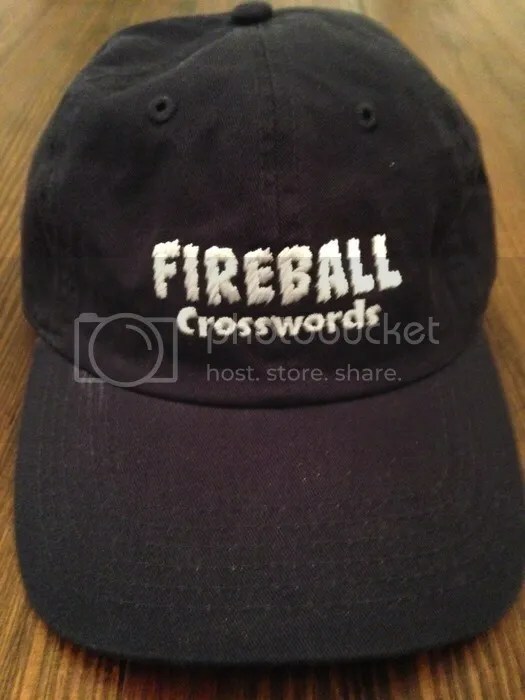 Culturally timely clues and entries are a hallmark of this marvelous variation on his long-running Fireball Crosswords brand, and Gordon has a knack for melding flowing grid design with sharp, topical entry words. He’s in the home stretch (only hours left in the campaign!) and Gordon’s history of topnotch puzzles is all the incentive you need to contribute. But he’s not the only puzzler going straight to the puzzle audience with a new collection. Constructor Brendan Emmett Quigley has a new collection of Marching Bands puzzles, and he’s offering a great deal! Twenty-six Marching Bands puzzles. Talk about value! The last Kickstarter I want to highlight today comes from the board game end of the spectrum. 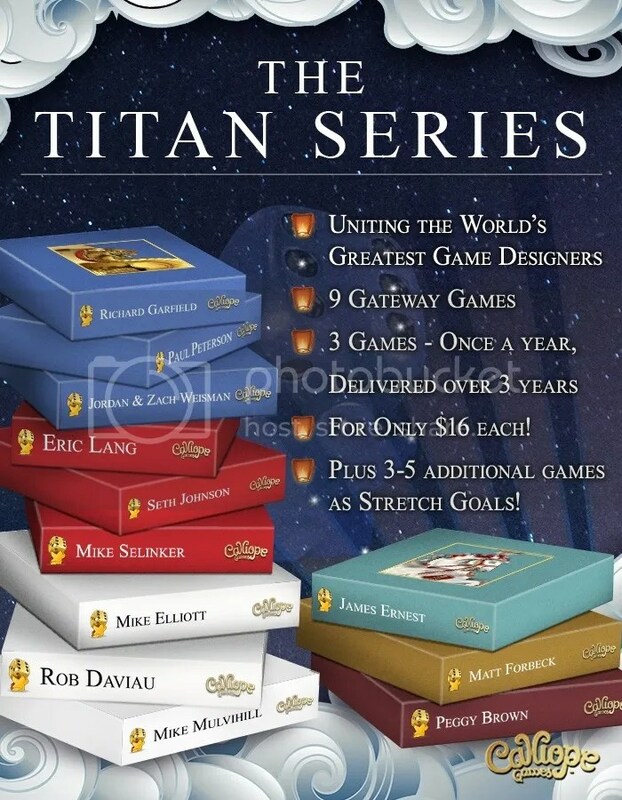 The folks at Calliope Games — responsible for Tsuro, one of my new favorites from the last year — have masterminded a three-year, nine-game program with some of the top names in the field, and they want your help bringing the Titan Series to fruition.